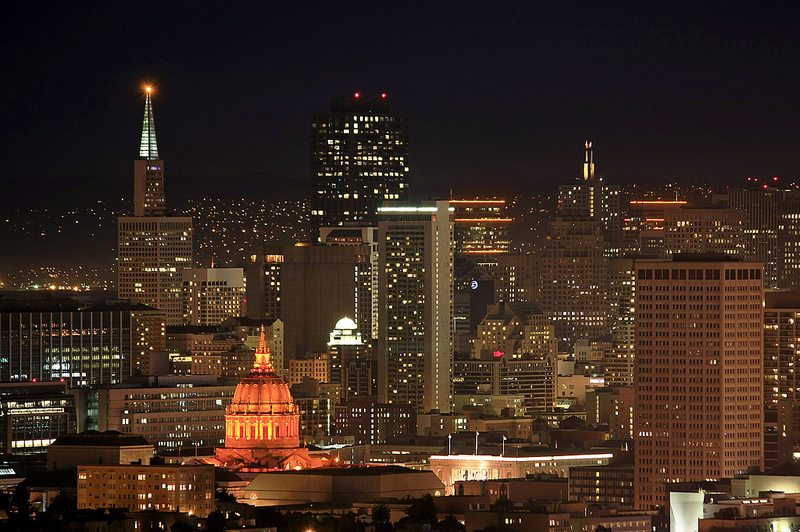 I know, I know, baseball is a sport and doesn’t really have a place on a blog about design but this is, afterall, a SF design blog and I’m really proud of my team and my City. Given all the distractions the internet offers and the ease of access we have to it via our smart phones, tablets and pads, when a community rallying event happens, like watching a baseball game in the middle of the Civic Center, that, in my mind, is reason to celebrate. Today I want to talk about sidewalks. Those narrow paths of sanity, where pedestrians like me follow the road wherever it goes with my eyes generally cast upon the pavement. After I started noticing the color of fallen leaves, I found myself drawn to the spontaneous, spider-like eruption of cracks compartmentalizing the surface of the concrete. They looked to me like maps of unknown worlds complete with roads, rivers, and land masses. Each map created by nature’s reaction to the imposition of this hard, human-made material upon the naturally uneven skin of the earth. Nature was simply not going to be clothed without resistance. Nonetheless, I love the spontaneous, unpredictable appearance of sidewalk cracks and how the cracks intersect one another. I love the randomness, simplicity and beauty of their shapes. Sidewalk cracks openly rebel against control and order. They refuse to abide by scale or symmetry. They are bold statements that cut across the grain of our ‘expert-driven’ technologically supported society where life today seems framed in a world of numbers, grids and control. 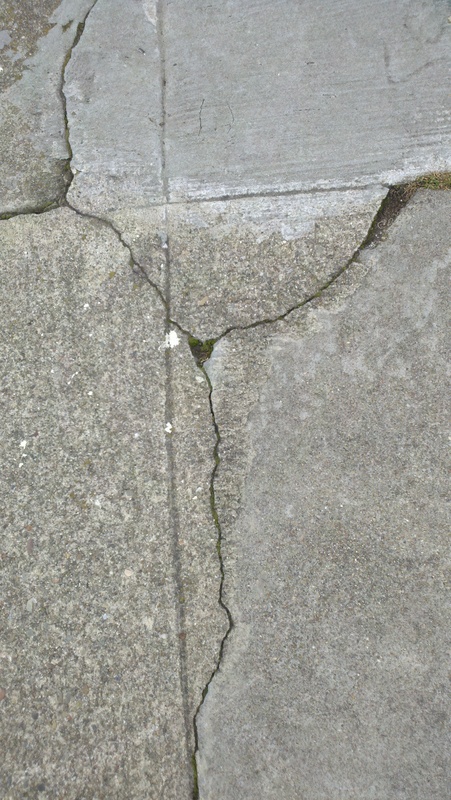 Sidewalk cracks often go unnoticed because they are so obvious and the medium is so industrial and so utilitarian. Which is another reason I like them so much; they’re so easily accessible and no one can claim credit for them. They are museum-worthy works of art whose beauty increases when left outside, exposed to the elements including storms, ice, dirt, wind, feet and unfortunately, vehicles that park on top of them. 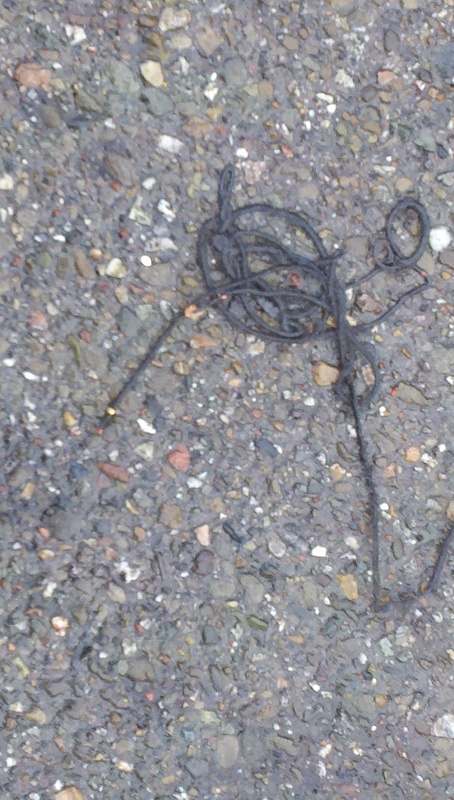 And lets not forget the cast-offs, discards, bits of trash that land haphazardly on the sidewalk. How precious and interesting they can be visually as well. Design, as I like to define it, isn’t just about the newest pair of running shoes or the creation of a new logo or ad. Design in my mind is all about nature, the beginning and end of everything. 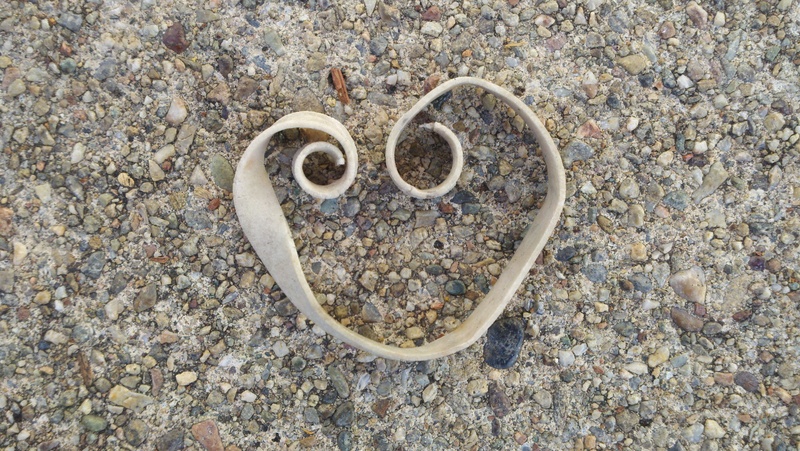 Like an enormous cement mixer, nature takes everything in, churns it all together a few times and dumps it out as something new and beautiful. The question is, will you take that moment out of your routine to see it? Design beauty is everywhere and in all things if one is willing and able to see beyond the windows of consumerism and discover all the designs nature has to offer for free. The world is an amazingly beautiful place that all of us are lucky enough to be part of. 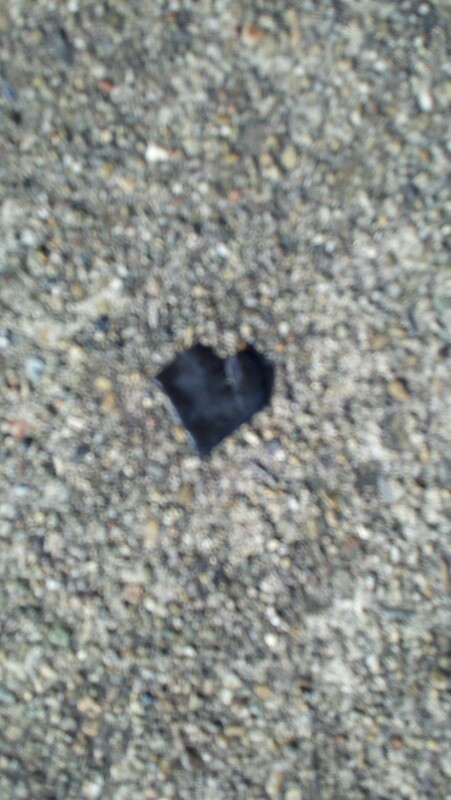 So enjoy the sidewalk cracks and the fallen leaves, there’s so much more to be discovered. 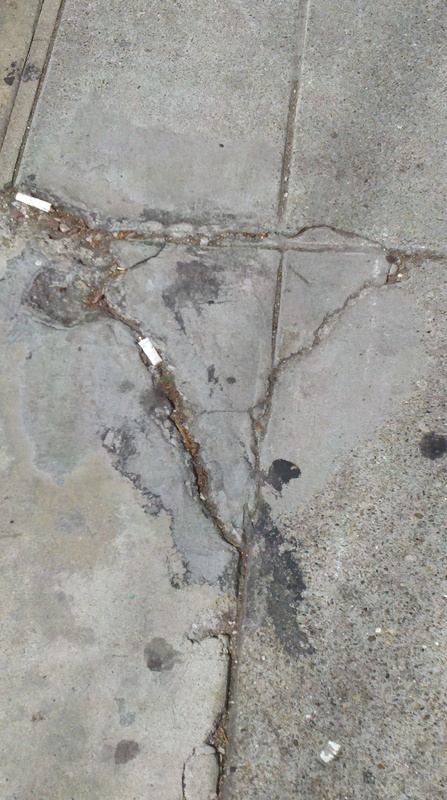 This entry was posted in Uncategorized and tagged art, cracks, Design, Giants, leaves, san francisco, SF, sidewalks. Bookmark the permalink.